Gasoline and diesel fuel measurement from single injector testing to on-vehicle flow measurement across the automotive and on/off-highway transportation industries. Fuel consumption continues to be a primary measure of success in the automotive industry with improvements through vehicle testing. Better tire designs, ignition control, transmission shift points or a hundred other CAFE improvements must be proven through the accurate measurement of a small amount of liquid flow. To verify product performance and evaluate engineering improvements requires a flow meter which can resolve the total flow to better than 1/100th of a milliliter. Max Precision Flow Meters can also accurately measure the idle speed fuel consumption of a single cylinder engine like those used on leaf blowers, chain saws or outboard motors. 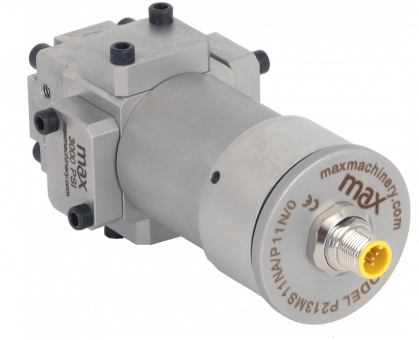 Max also offers auxiliary equipment which includes vapor eliminators to ensure a bubble free fuel supply and level controllers for the highest possible accuracy in a recirculating fuel system. Standardize lab tests and over-the-road data with the same meter. 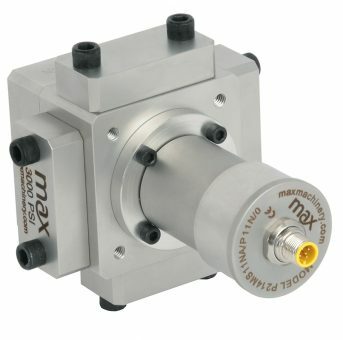 Max Precision Flow Meters are not sensitive to changes in flow profile, fluid density or viscosity. The same flow meter can be utilized for gasoline, diesel fuel, methanol or ethanol blends and can also be used for Viscor (calibration fluid). The meters’ rugged, compact designs make it possible to collect both over-the-road data and your test stand measurements with the same sensor. Theoretical results and correlations are not required when you use the same flow meter in both environments. With their high resolution and low flow measurement accuracy, Max Precision Flow Meters are the leading choice for both dynamometer and over-the-road testing. 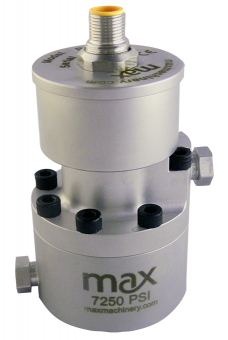 The Max P213 piston flow meter is our most popular gasoline and diesel flow meter offering 1000+ pulses per ml. As a positive displacement device, all of the flow is detected and reported, regardless of how low a flow rate you need to measure.